Liz has had a long career in economic justice beginning with migrant farm workers, teen peer counseling and youth employment in the 1980s. She got her Master’s Degree from the University of Chicago and moved into administration with Jobs for Youth/Chicago where she started a volunteer program that won a national Points of Light Award. Moving back to Philadelphia in the 1990s after nearly a year of travel abroad, she became the Executive Director of the Tenants Action Group which, under her leadership, provided tenants right education to 25,000 low-income tenants a year and rental assistance to 1,400 formerly homeless households. She was lead on the city’s first Blueprint to End Homelessness which became a national model for 10-year plans. In 2002 she took over leadership of the statewide affordable housing advocacy organization, the Housing Alliance of Pennsylvania, and built it into an advocacy powerhouse. Over her 14 years in leadership the Alliance won nearly a half-billion new dollars for affordable housing including establishment of the state’s Housing Trust Fund, PHARE. The Alliance was architect and engineer for the enactment of 17 new laws, all with bipartisan support, to address blight, housing and community development including Land Banks and Blighted Property Conservatorship. She started and grew the statewide Homes within Reach conference to draw 900 people and generate one-quarter of a million dollars annually. 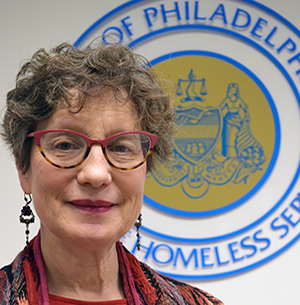 Today, as the Director of the Philadelphia’s Office of Homeless Services (OHS), Liz leads the City’s $79 million homeless system in its mission of making homelessness rare, brief and nonrecurring. 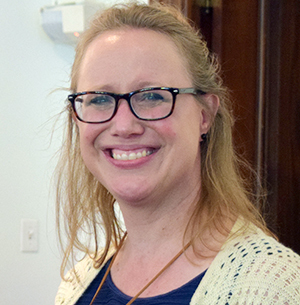 Since her appointment in 2016 OHS has engaged the business community through Shared Public Spaces, expanded daytime services including the Hub of Hope, tripled homelessness prevention, added over 100 permanent housing units, housed 450 chronically homeless individuals, expanded Rapid Re-Housing for families and launched an internal system transformation to focus on being housing-first, person-centered, trauma-informed and data-driven. Liz is a native Philadelphian from West Mt. Airy who now lives in the house she grew up in. She graduated from the Philadelphia High School for Girls, class of 219. She has two children, both of whom graduated from Science Leadership Academy and is married to Greg Goldman, her partner since 1988. Josh is an award-winning writer and communications strategist in Philadelphia. Before he worked at the City, he was a journalist with national LGBT magazines and Philadelphia’s alt-weekly newspaper, covering issues like poverty, HIV/AIDS, politics, and LGBTQ culture, often using his lens as someone with firsthand experience with homelessness, trauma, and addiction. 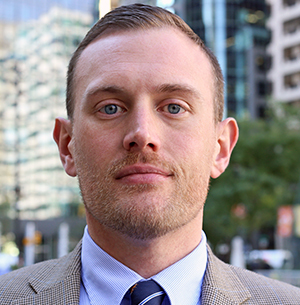 He spent three years in the communications office of Mayor Jim Kenney focusing on digital strategy and assisting with landmark campaigns, including the successful Philadelphia Beverage Tax campaign and the City’s public safety and service response during the 2018 Eagles Super Bowl victory parade and the 2016 Democratic National Convention. Josh lives in Point Breeze. 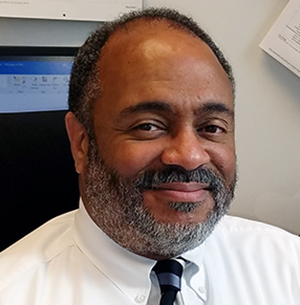 Kevin began his Civil Service career over 25 years ago with the Philadelphia Department of Public Health where he served as Administrator of the Tuberculosis Control Program in the Division of Disease Control. 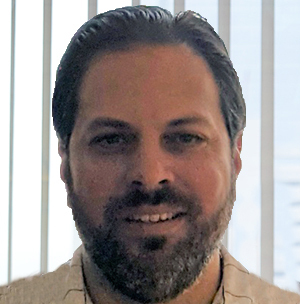 As Administrator of Riverview Personal Care Home, he has used technology to improve the accuracy and comprehensiveness of resident care information that is shared between the various disciplines responsible for providing direct care. He has also implemented new staff training protocols and personal care procedures to ensure each resident maintains their highest level of independence. Kevin is a certified Personal Care Home Administrator in the State of Pennsylvania. He holds an MBA with focus on technology management from the University of Phoenix and a B.Sc in Music Education from Temple University. Matt is a lifelong Philadelphian. He has worked for the City for most of his career, beginning at the Philadelphia Water Department and then at the predecessor to the Office of Information Technology. He has managed computer operations for over 20 years at the Office of Homeless Services. He has brought many new systems to the agency, connected networks at all agency locations and kept technology up to date. Present areas of focus include enabling mobile technology for workers, moving applications to cloud based software service providers, creation of a Constituent Management System to enable consistent communication and information security. He has a B.A. from the University of Pennsylvania and did Masters work in technology at Drexel University. Sabrenia has been with the Office of Homeless Services for 16 years and has worked with at-risk populations for over 20 years. Her goal is to ensure that all individuals who are experiencing or are at risk of homelessness are treated with dignity and respect. Sabrenia believes that everyone is entitled to quality services and a safe and secure living environment. She has extensive experience gained through work in the Intake Centers, the Emergency Assistance and Response Unit (EARU), and as Contract Coordinator. Sabrenia is a U.S. Army Veteran who earned her Bachelor’s Degree in Criminal Justice from Temple University. She also earned a Master’s Degree in Human Resources and an MBA from Holy Family University. David has over 10 years experience working with individuals experiencing homelessness in Philadelphia. He is responsible for monitoring chronic homeless programs, including interacting with the chronic homeless community. His expertise in engaging the homeless population supports the outreach teams and informs development and management of operations for the annual Homeless Winter Initiative Plan and other special projects. He builds partnerships between various City departments, public and private entities to develop strategies to address chronic homelessness. Prior to this role, Dave was Coordinator of Chronic Homeless Outreach Services for the Philadelphia Department of Behavioral Health, Homeless Services Division. He earned a BA in Public Administration from Shippensburg University, and a Master of Science in Organizational Development Leadership from the Philadelphia College of Osteopathic Medicine. MaryBeth “Beth” is the Deputy Director, Policy, Planning and Performance Management. She is responsible for driving the architecture of OHS’s work to maximize the efficiency, access, quality and effectiveness of Philadelphia’s homeless services system. Beth has worked across governmental and non-governmental agencies to implement policies and programs that drive outcomes and impact. She has dedicated her career to improving the lives of vulnerable populations. Beth helped to design and run the nation’s first court-based eviction prevention program in New York City. 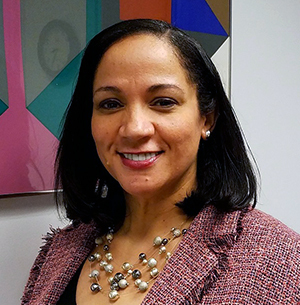 Beth holds a BA from Howard University, a Master’s in Counseling Psychology from New York University and an MPA in Public and Nonprofit Management and Policy from the Robert F. Wagner Graduate School of Public Service at New York University. Bruce is a lifelong Philadelphian. 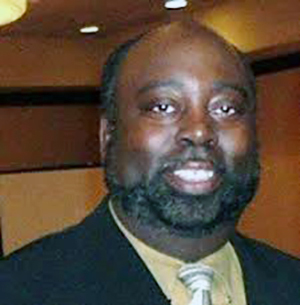 He has held management positions in various affordable housing related organizations/agencies such as the Philadelphia Housing Authority, the New Jersey Housing Mortgage Finance Agency, Pennrose Management Corporation, and the State of Nevada Housing Division of the Department of Business and Industry. Bruce received a Bachelor of Arts in Political Science from Temple University and a Master of Public Administration from Villanova University. 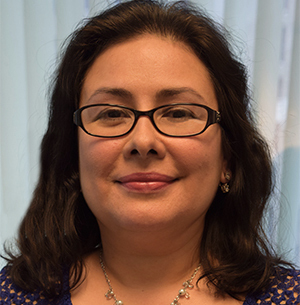 Leticia began working with the City of Philadelphia as a Social Worker in the Prison System. She has had the opportunity to work in the Quality Management Unit, Housing Retention Unit and Operations. For the past 10 years, Leticia has advocated for, educated and encouraged clients in Philadelphia’s emergency housing sites. Her goal is to assist clients through the traumatic experience of homelessness by providing access to needed services and ensure clients are housed in safe and secure environments. Her educational background includes a MA in Education from New York University and a BA in Politics and African/African American Studies with an emphasis in Political Economy from Brandeis University. Diana began working with the City as a social worker for DHS. For seven years she worked with families and youth, particularly those of Latino-Hispanic origin, who were mandated to receive city services. She then spent eight years as a Program Analyst resolving contract and program problems which led her to Contract Administration. Her first role was as a Contract Supervisor processing human service contracts. She then moved to Homeless Services where she is the Contract Administrator. Her unit oversees all of the agency’s contract processes and often liaisons with other City departments such as Law, OEO, and Finance. This unit helps to make it possible for Homeless Services to serve all Philadelphians. 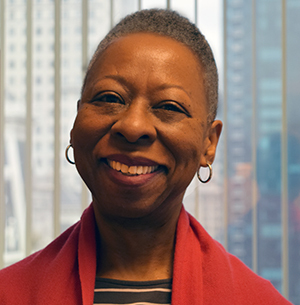 Roberta is responsible for the Federally-funded Philadelphia Continuum of Care which provides $30 million in grant funds each year to support housing for persons who are experiencing homelessness. She and the Homeless Services team oversee 1,600 contracted housing units. She co-led Philly’s 100,000 Homes team and co-chairs the 25 Cities Philly Vets Home 2015 Initiative. Roberta has provided leadership to train 2,000 family service providers over the past three years through the Children’s Workgroup, and the Homeless Death Review process in collaboration with the Medical Examiner’s Office. Roberta has a Bachelor’s Degree from Marquette University and a Masters Degree in Social Work Administration from the University of Michigan. 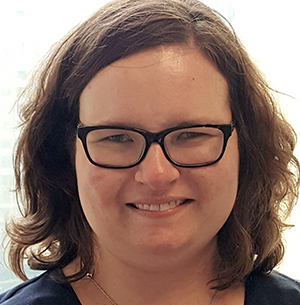 Emily’s focus since the start of her public service career is to increase access and availability of affordable housing for vulnerable populations. She began in 1996 by working on Philadelphia’s first city-wide application for federal homeless funding. In 2007 she was asked by the Department of Behavioral Health to assist in creating a permanent housing strategic plan for people with behavioral health challenges. The results include two programs which continue to assist 300 households annually. 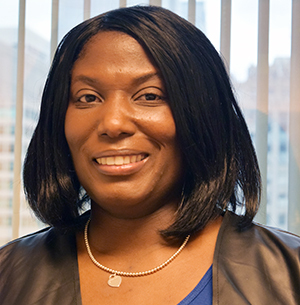 Currently she and her staff ensure that Philadelphians experiencing homelessness are connected with the most appropriate supportive housing intervention for them. This is a reality for over 500 households annually. Emily embraces her agency’s mission to make homelessness rare, brief and non-recurring, while looking toward ending homelessness. 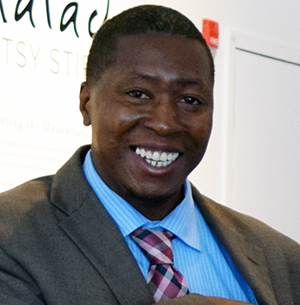 Rodney began his career as an auditor with the Teamsters Union. After leaving the Teamsters, Rodney began employment with the City of Philadelphia which has spanned 30 years. He was hired as an Accountant Trainee at the Philadelphia Nursing Home then joined the Coordinating Office of Drug and Alcohol Programs (CODAAP), and the Office of Mental Health and Mental Retardation (now known as DBHIDS). He came to Homeless Services in 1999. He attended Delaware State University, earning a dual Bachelor’s Degree in Accounting and Business Administration. He is a believer in creating good working relationships and getting things done! Fred is the Director of Emergency and Temporary Housing. He has worked for the Office of Homeless Services for more than 10 years and has worked with at-risk populations for 20 years. His past roles at Homeless Services include Social Work Supervisor at the Appletree Family Intake Center, Social Service Program Analyst, and Social Work Services Manager. 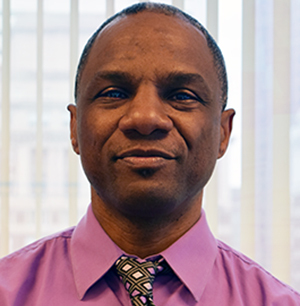 In his current role, Fred will direct, plan, and organize program implementation and services for the City of Philadelphia’s Emergency and Transitional Housing system, with the overall goal of making homelessness rare, brief, and non-recurring. He earned a Master of Social Work from Temple University and a Bachelor of Arts in Sociology from Indiana University of Pennsylvania. 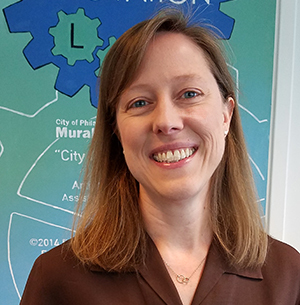 Sara leads the planning, implementation, and evaluation processes of Philadelphia’s Coordinated Entry and Assessment-Based Housing Referral System (CEA-BHRS). Prior to this position she was a Continuum of Care (CoC) Program Manager at OHS where she created the first CoC Board, governance structure, and governance charter in collaboration with internal and external stakeholders. 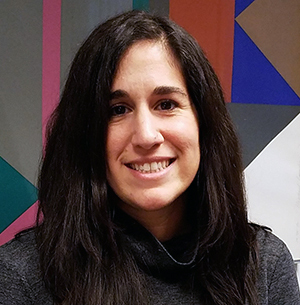 Sara began her career at United Way of Greater Philadelphia and Southern New Jersey as an AmeriCorps VISTA, and held several positions in its Community Impact department. She earned an M.S.Ed. in Higher Education from the University of Pennsylvania Graduate School of Education and a Bachelor’s degree in Business Management from Saint Joseph’s University. Michael was the Legal Counsel (Deputy City Solicitor) for the City of Philadelphia in charge of commercial matters and contracts for several City departments, including the Department of Public Health, the Department of Behavioral Health & Intellectual disAbility Services, the Fire Department’s Emergency Medical Services Unit, and the Office of Homeless Services. Michael interned and clerked at the Supreme Court of Pennsylvania where he assisted with commercial disputes, and he was a Personal Financial Analyst for Citigroup. 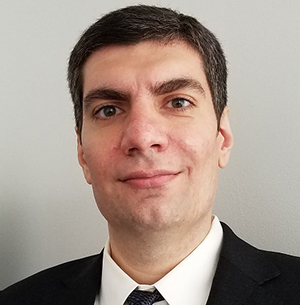 He has a Juris Doctor degree from Rutgers School of Law, a Master of Business Administration from the American College of Greece, and a Bachelor of Science in Finance and Economics from the University of South Florida. Michael is a licensed attorney in New York, Pennsylvania and New Jersey. Raymond began employment with the City in 1984 as a temporary employee with the Recreation Department. He held various positions within the department, eventually becoming Assistant Recreation Leader. He has a Bachelors of Business Administration degree, with a major in Human Resources, from Temple University. 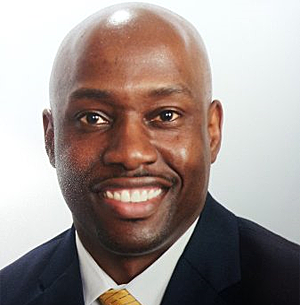 Raymond also worked as a Curriculum Advisor in the School of Business and Management at Temple University before he was appointed to the Human Resources Unit of the Streets Department as a Management Trainee. He worked in the Streets Department until 2007 when he was appointed Human Resources Manager to the Office of Homeless Services. He has more than 20 years of human resources experience. Linda is the Communications Coordinator for the Office of Homeless Services. In 2016 she managed the successful re-branding of the agency. The re-branding made more Philadelphians aware of the resources available for individuals experiencing homelessness in our city. She coordinates the work of the Homeless Services Communications Working Group, provides content for public education materials, and coordinates messaging across all mediums. She also manages the agency’s social media platforms, and issues the bi-weekly Drum Beat newsletter. She manages Homeless Services’ Language Access Program, ensuring that services are accessible to all Limited English Proficient persons. Linda has a marketing certificate from The Wharton School, an MPA from Temple University, and a BA in Communications from George Washington University. Gina has over 10 years of experience in both direct service and administration. She is responsible for implementation of the Roadmap to Homes (RtH) strategic plan, designing systems to ensure effectiveness and supporting community-wide efforts to make homelessness rare, brief, and non-recurring. 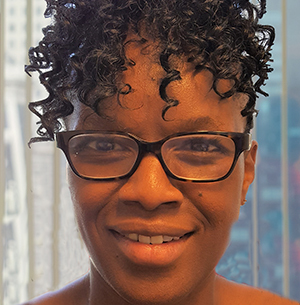 She has experience as an outreach counselor and case manager for those experiencing homelessness, and in leadership roles has created and implemented community programs providing better access to employment, financial literacy, and affordable housing. Gina received a BA in Psychology from Villanova University and a Master’s in Social Work from the University of Maryland, Baltimore, with a concentration in management and community organizing.